A Special thank you goes to Carole-Ann and Paul for taking the time after their recent wedding to share their experience within a bridal post for Sunshine Weddings. Based in Newcastle (North East England) Paul, Maisie, and I are a regular family living everyday lives doing everyday things. Paul and I have been together 4 years and have a 2 year old child together. 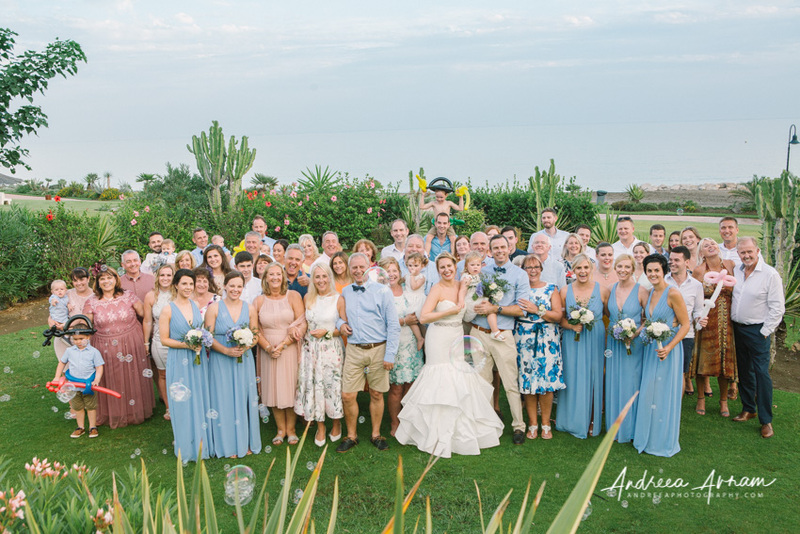 We both love Marbella and visit every year for our annual holiday, it was on this holiday in 2016 Paul popped the question (having already lined up venue viewings with Sunshine Weddings). 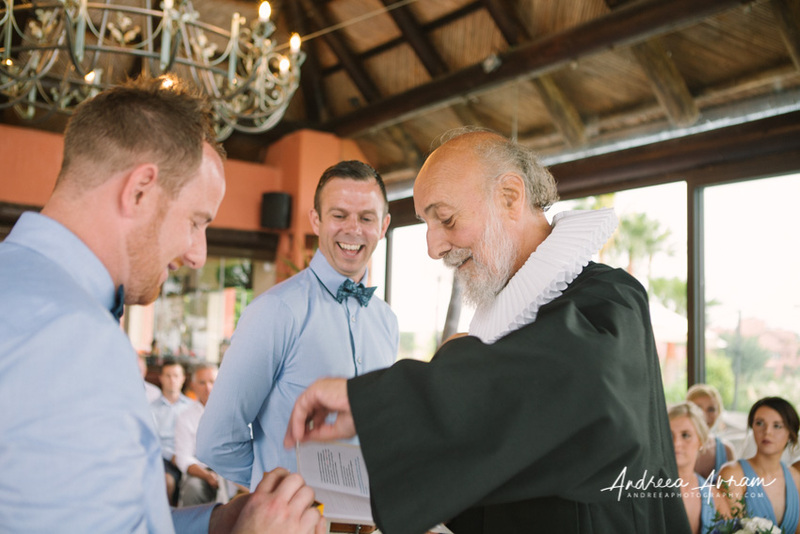 From this moment we knew Sunshine Weddings were the right company for us. They listened to us from the very beginning and took on board all our questions and concerns. We booked our venue that year along with some other suppliers suggested by Scott and his team. 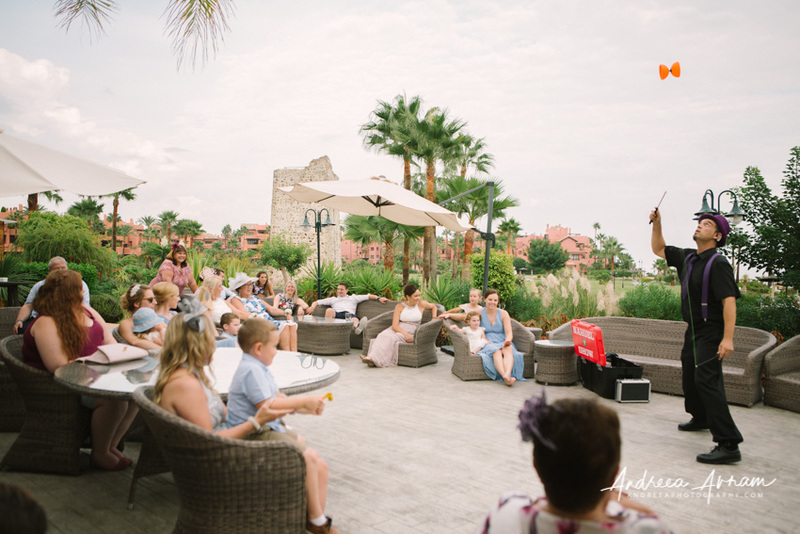 Andrea was Fantastic, she listened to the type of pictures we wanted and really captured the fun of the day, everywhere we looked she was off taking another action shot of our family and friends enjoying themselves. She was invisible when we needed her to be invisible which to us was perfect. The next morning we had already received some sneak peaks of our pictures even though she was off to another wedding! Words cannot describe how impressed we were with Nahuel the child’s entertainer. He had such a crowd around him, not just children. He was funny, he was talented, and he made the wedding amazing! Combining juggling, magic tricks, bubbles, and balloons he was a true entertainer! We had him booked in for 2 hours which I think was enough time, but in all honesty I wish we had him longer to do more magic! Music is not my area… I’ll start there. This is 100% Pauls. He is very into his dance music and Tiesto. DJ Fuller delivered exactly what he wanted. Towards the end of the night they had a mini rave and there was no space on the dance floor. He made my Groom very very happy. To start with I wasn’t sure on Karen –the photographs she sent through didn’t seem enough for me – I asked for another florists information and although I was impressed by this other florist pictures, I was not impressed with her prices. Speaking with Nieves at Sunshine Weddings she told me to stick with Karen and wait till I meet her on my tasting visit. I’m pleased I did because WOW was I impressed!!! My flowers and centre pieces on the day where amazing and even when leaving Spain the bouquets where still going, it was sad to leave them behind! The moment we saw the Tikitano in 2016 we knew this was the venue we wanted. We fell in love with the outdoor space, the sea views, the glass windows to continue those views from inside and the general set up. It wasn’t always plain sailing with the Tikitano in fact I would honestly say they are a difficult venue to deal with. Price changes and mind changes at their end had a lot to do with our wedding causing some sleepless nights and tears. Scott and his team had to battle to get questions answered but thanks to Sunshine Weddings we got there in the end. However on the day they proved to be amazing! The food was spectacular, the open bar exceeded our expectations, and the chocolate fountain was incredible! I still can’t get over how good the Paella and Sangria tasted on our day and how the staff floated around making sure everyone had a drink and food, while the place was clean and tidy. On the day the doubts I had were immediately gone! Now I’m a control freak and organisation queen, to do events and organisation, sales etc was my degree, this was and is my job, spreadsheets are my best friend! When I first met Scott I explained this to him and he put me at ease telling me of his work ethics, background and showing me my own wedding spreadsheet! (If he ever needs a UK based wedding planner I’m his) We didn’t always have great communication with our team, but learning there was a reshuffle of staff put our minds at ease and when we really needed them they were there. In the final weeks leading to our wedding we probably emailed every day. It wasn’t easy all the time but I don’t think planning a wedding is supposed to be. On the 14th September 2018 Paul and I had the wedding of our dreams. Without Scott and his team this would not have happened. We had our ups and downs but 2 years in the making they strongly cheered on Team Turbitt. Not only did I find the prefect wedding planner I found a friend for life!